Cape Alitak, a small finger of land on the southern end of Kodiak Island, is the home of the Alutiiq people. Every summer for the past 30 years, this has been the site of the annual Akhiok Kids Camp, where native youth from the Alaskan Native village of Akhiok spend eight days learning about their traditional culture, including language, subsistence techniques, boat building and storytelling. 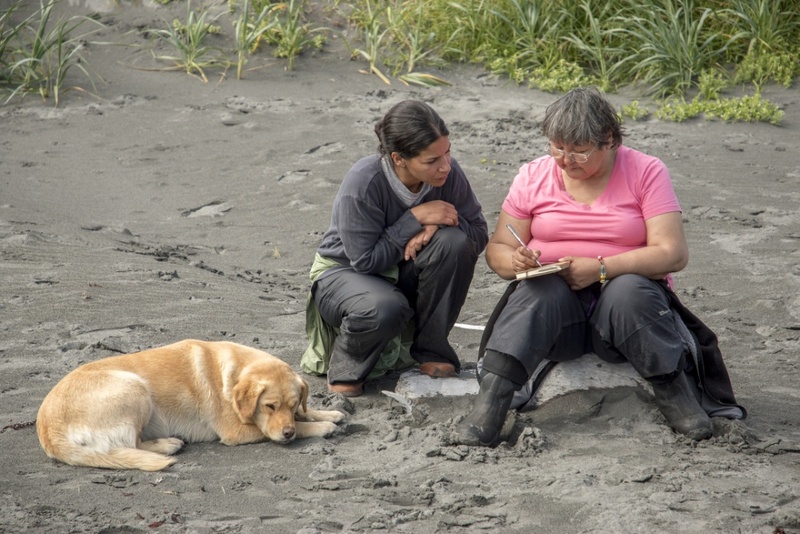 And as part of the camp’s storytelling work, a team of UO professors has been working alongside the Alutiiq people to help bring the tales to life. 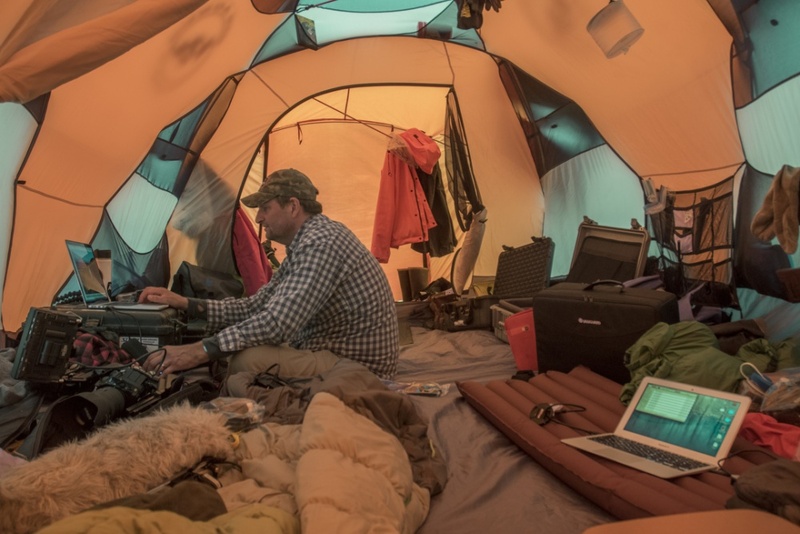 Last summer, journalism professors of practice Torsten Kjellstrand and Mark Blaine and education professor Leilani Sabzalian traveled to Akhiok to collaborate with Sven and Balika Haakanson. 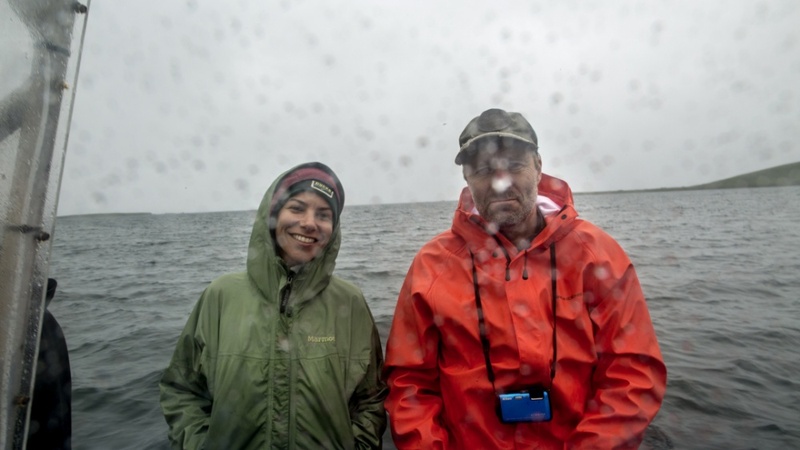 Sven Haakanson is a native Alutiiq, University of Washington anthropology professor and MacArthur “genius grant” recipient, and Balika Haakanson is a teacher and curriculum developer who grew up on Kodiak Island. It’s one of several initiatives focused on Pacific Northwest native cultures that Kjellstrand is working on. The project at the Akhiok Kids Camp, which is funded by Vision Maker Media, will continue through next summer. 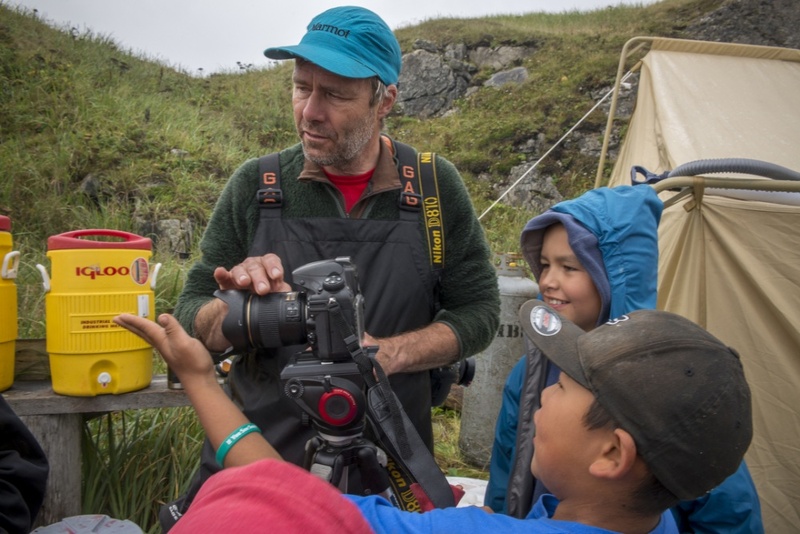 It has two main goals: giving Alutiiq the opportunity to share their stories and creating a storytelling curriculum to implement in middle and high schools on Kodiak Island and beyond. 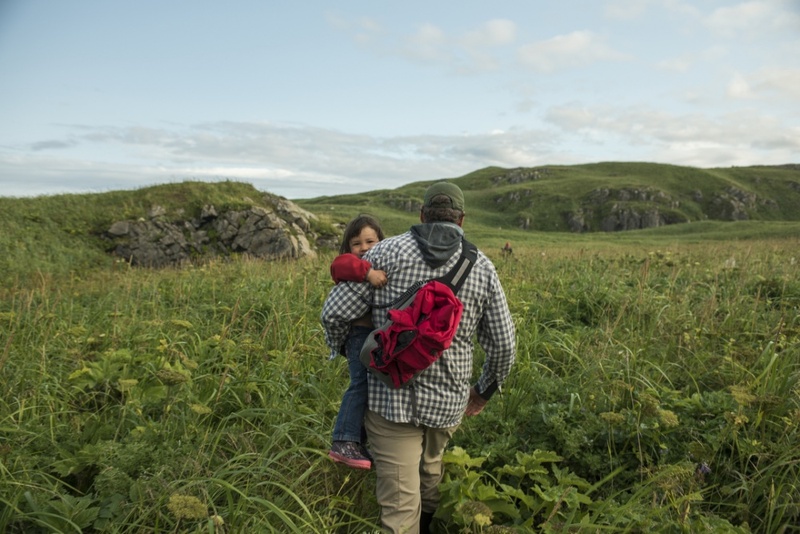 The six members of the faculty team challenged themselves to help Alutiiq children tell their own stories without overstepping their boundaries as researchers and outsiders. 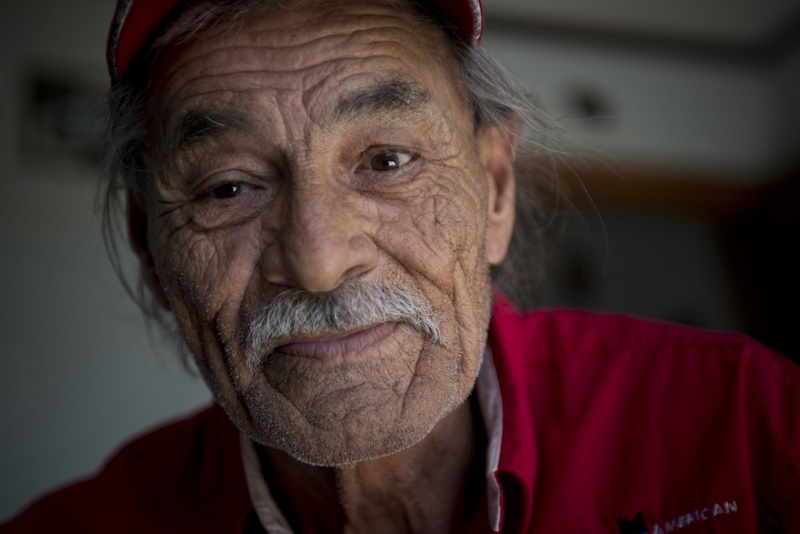 They say it is important to help native peoples record their history, but they also emphasize the need to tread lightly when it comes to recording stories. Blaine described the stories as “intellectual property” that the teachers do not own. At Akhiok, the team walked the camp participants through the process of creating a story: doing research, writing interview questions, conducting interviews and forming a cohesive story. In the process, the teachers learned much about Alutiiq traditions. Sven Haakanson’s work centers on building material objects from his culture, so he built a kayak in camp with mostly found materials. Then the children in camp interviewed him about his process. “They’re seeing knowledge exists all around them,” said Sabzalian, who is Alutiiq and specializes in indigenous studies. To encourage members of the Allutiiq to engage in future story collecting among native communities, the team created a video curriculum with four to five modules featuring footage of the students going through the process. They are also working on three short films for the Public Broadcasting Service to bring the stories to a wider audience. 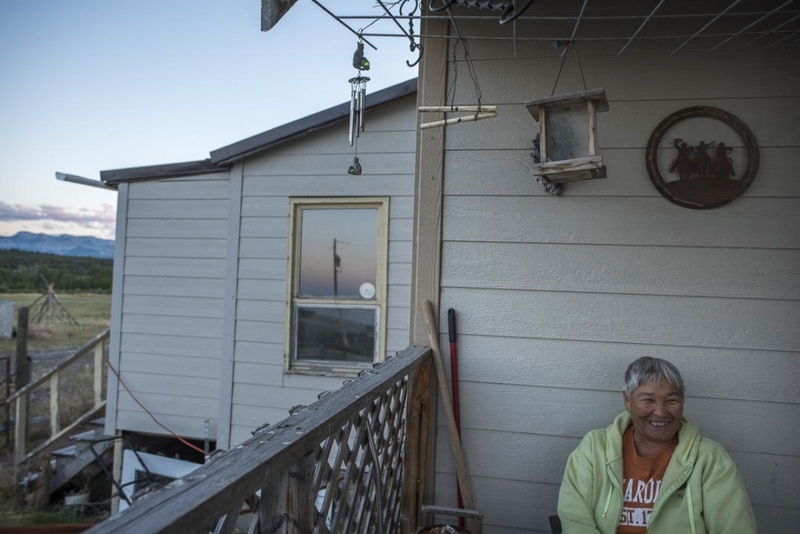 For the past four years, Kjellstrand and Washington State University associate professor of communication Ben Shors have been visiting the Blackfeet Reservation in Montana to document how Blackfeet people have adapted since a dam broke in 1964 and claimed 31 lives. All but one of those killed were Blackfeet, and many were children. The project began in 2013, when Shors contacted Kjellstrand to collaborate on a magazine article. Once the pair learned more about the people affected by the flood, they realized the story went beyond just one magazine article. “It’s a beautiful setting for a powerful story,” Shors said. The professors received funding from Vision Maker Media to produce short video profiles that were broadcast on PBS as the “Sixty-Four Flood” documentary series. Guru Amar Khalsa, a 2014 UO graduate who was then a student in the School of Journalism and Communication, helped with the production of the short films. One of her most memorable moments from the project was meeting a man on his way to a sun dance site to pray for his son, who had succumbed to alcoholism. Many locals were welcoming to Khalsa and the professors, who tried to be as culturally sensitive as possible. 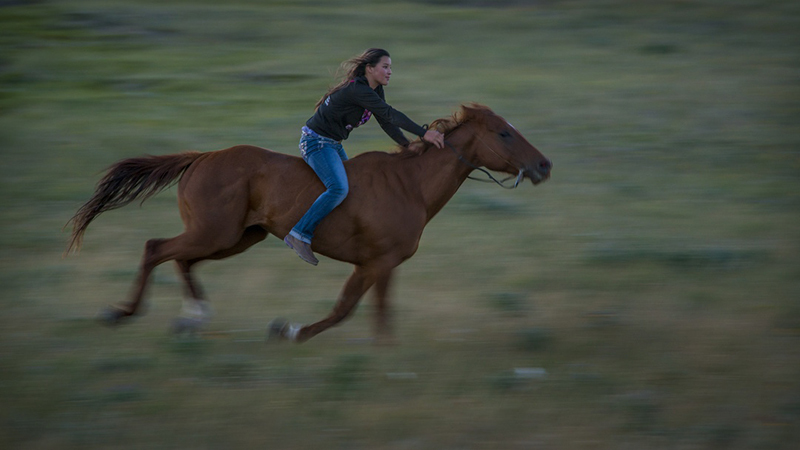 While in Montana, Kjellstrand and Shors heard two intertwined stories they knew required more than six minutes to capture. The storytellers wanted to provide juxtaposed views of what to do after a tragedy: Should you leave to start a new life, or should you stay and try to pick up the pieces? 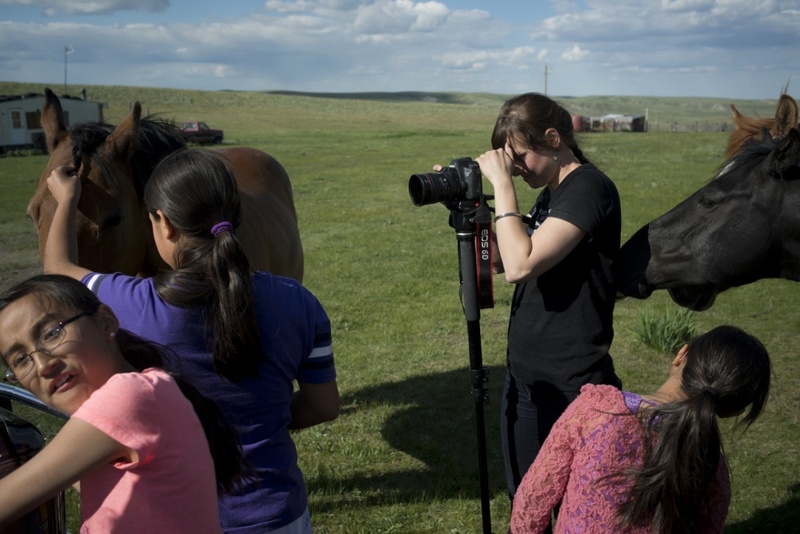 Shors and Kjellstrand spent three years creating “The Blackfeet Flood,” assisted by recent journalism alumni Rhianna Gelhart and Will Saunders. 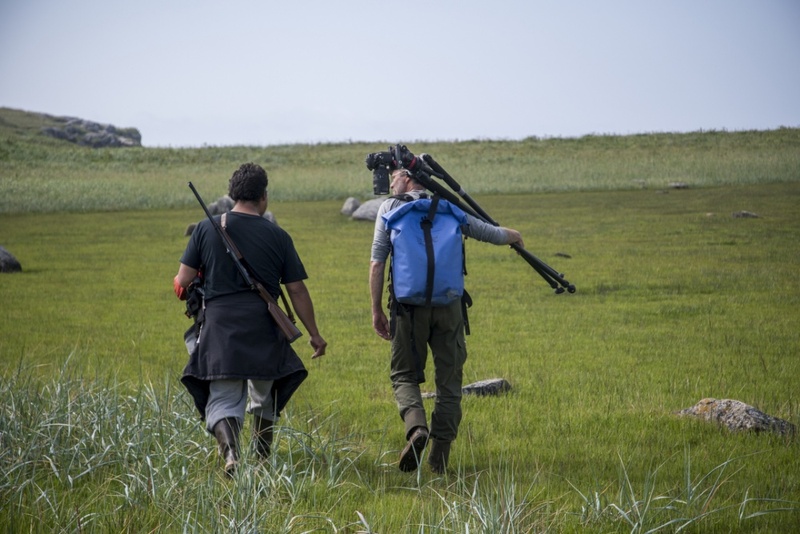 The team finished shooting over the summer and plans to release the half-hour documentary in the fall. Kjellstrand and Sabzalian also recently received funding from the Wayne Morse Center for Law and Politics to explore Native American culture in Lane County. That project, “We Tell You Now: Storytelling from an Indigenous Perspective,” is designed to ensure that indigenous perspectives are a part of the conversation on “Borders, Migration, and Belonging” and will work with several indigenous organizations to share the stories of many tribes in the Pacific Northwest. “I admire the Wayne Morse folks for including our work with indigenous communities as part of the ‘Borders, Migration, and Belonging’ theme,” Kjellstrand said. This project is still new, but Kjellstrand and Sabzalian hope to include a broad and diverse range of indigenous perspectives from campus, local schools and the broader community. Anyone who would like to be involved in the multimedia project and share their perspectives on "Borders, Migration, and Belonging" as an indigenous person, contact Kjellstrand at torstenk@uoregon.edu or Leilani Sabzalian at leilanis@uoregon.edu.